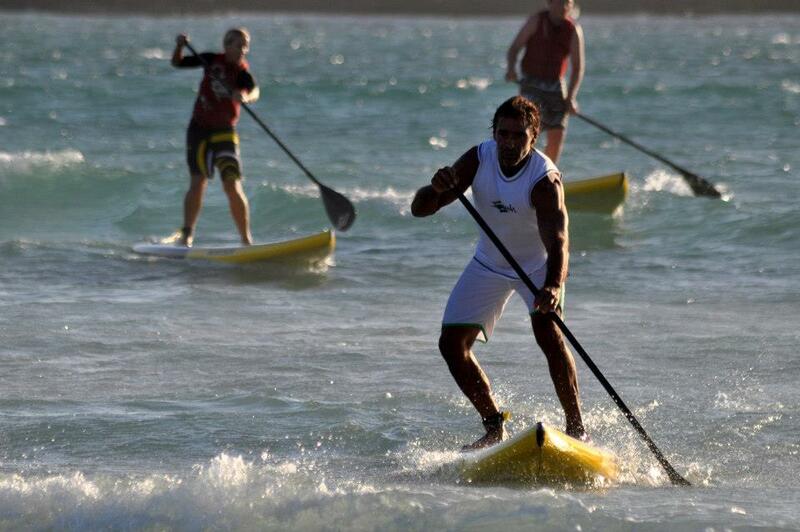 Boss Man’s note: Here’s a recap of the latest Stand Up Paddle race in Cape Town, thanks to our South Africa Correspondent, Peter Petersen from SUP Culture. Each week in Cape Town the locals hold a “Downwind Dash” SUP race. 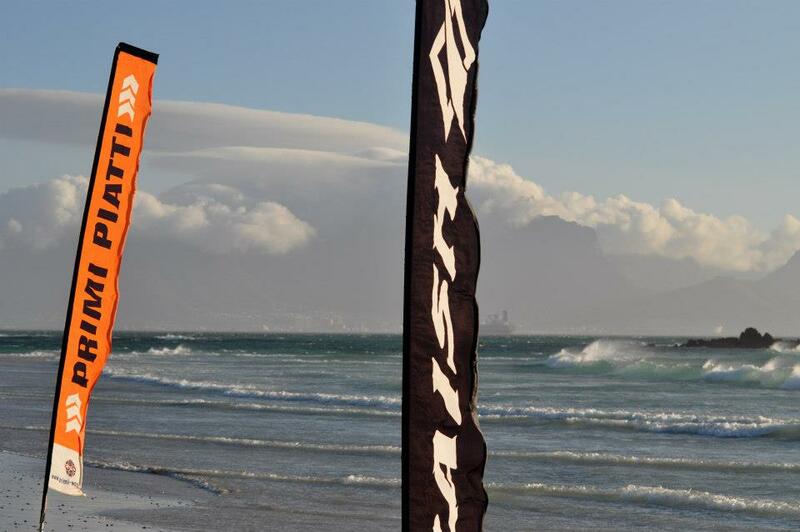 Below is race #2 from the new series, which you can follow here >> 2013 PRIMI Naish Downwind Dash SUP races. Today was Race #2 in our Downwind Dash series and the Cape Doctor (the name of our local South East tradewind here in Cape Town) kept us waiting until 4pm before she made her entry. We had been watching the barometer rise like a homesick angel so we knew she’d be pulling in! And did she pull in? Solid 25knots, with 36knot gusts, with pure SE and flat, swell-less-perfection. It doesn’t get better than this and thankfully most heeded the early calls made that the event was going to be on, and we had 37 SUPs and one prone paddler on the start line. Exciting and close racing up at the front, lots of Personal Bests and a handful of newcomers made for a great evening. As usual, Dylan Frick led out proceedings on his Starboard, but with the higher windspeeds the Coreban, Fanatic and Naish paddlers excelled and almost chased him down. Greg Bertish got closest; being pipped on the line by just six seconds to give Dylan his second win of the series. Juniors were unchanged from last week with Ethan Koopmans managing 8th overall ahead of Joshua Robertson and Calvin Ginsberg. 10x personal bests and some great paddles by Tammy Robarts, Patricia Kohrs, “Birthday boy” Craig Ginsberg and son Calvin, John De Rooy, Armien Wohlgemuth, Francois Ferreira, Sebastian Cattelan, Tom King and Wayne Robertson. Good to see the training paying off – conditions were good, but they still get a lot faster! Four newcomers, three of them ladies, Iva lopes, Amanda Rootman and Annalisa O’Brien. 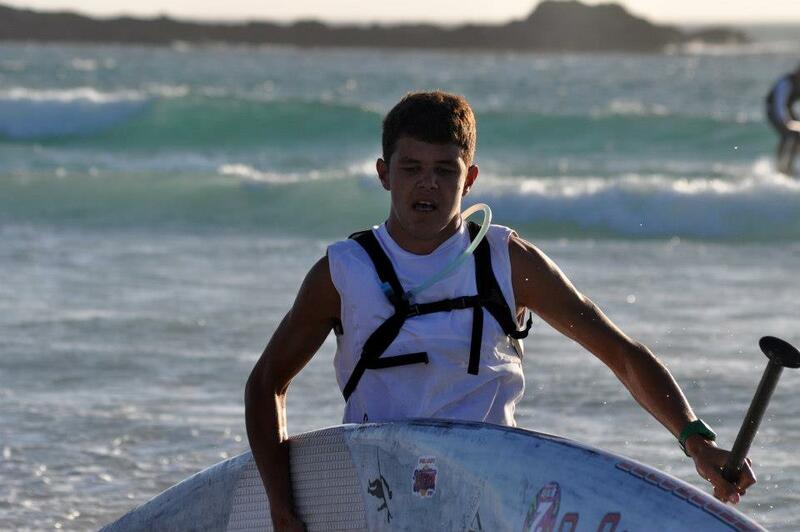 Fourth newcomer was none other than Ike Frans from Holland, Ike is an enthusiastic wind and kite surfer who has been visiting Cape Town for the past 15 years. He also managed to take 4th in the 11-Cities race in Holland last year! He came in 20th position on his only 2nd downwinder ever – well done! Our SA Prone paddle lady representative at the ISA worlds in Peru, Anna Knotten also took part and finished in a respectable 1:10:49 – she is using the series as part of her preparations for worlds at the end of Feb. With Dylan clearly also finding form we look forward to the ISA Worlds! 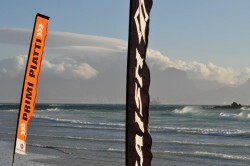 With no swell, most of the course gets very smooth and there were heaps of runs making for very close racing. Several different lines were taken but ultimately fitness and technique will decide your fortunes as Ivan commented on watching Dylan and Greg battle it out just ahead of him: “I reckon Dylan takes 2-3times as many paddle-strokes as Greg…..” to which Greg replied: “No ways I could paddle any harder… The youngsters are clearly flying!” Great to see the spirit amongst the guys and we look forward to next edition of the PRIMI Naish Downwind Dash. Once again thanks to time keepers, Lolo, Jennifer and Aden + Big Bay Surf Lifesaving Club and all our sponsors! Photos and full race results below.